Third Eye Blind is getting even more political. One week after trolling the GOP by speaking out against the party at a charity concert during the Republican National Convention, the band released a song that touches on social justice and police brutality. In “Cop vs. Phone Girl,” lead singer Stephan Jenkins addresses Black Lives Matter and sings about a police officer assaulting a teenage girl: “I mean he flipped her just like a rag doll, and broke her arm / Tossed her across that room, face down on the deck / He put his hands around a 16-year-old girl’s neck.” Four years ago, Jenkins wrote an editorial for the Huffington Post in which he called the GOP a “party dedicated to exclusion” and said it is “on the wrong side of Lilly Ledbetter, fiscal responsibility, unions, civil rights, climate change, evolution, the Big Bang theory, stem cells, Medicare, and me,” as an explanation for why the band turned down an invite to play a party at the 2012 RNC in Tampa, Florida. 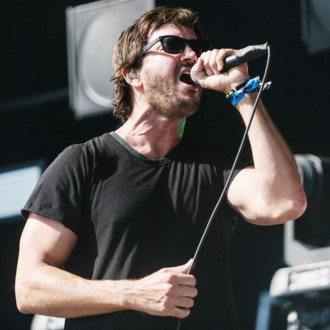 Third Eye Blind’s escalating social consciousness comes as they prepare to release their next album, We Are Drugs.